Android Things devices will receive three years of updates directly from Google. In an effort to better secure and control Internet of Things devices, Google announced Android Things back in 2016 and now after eight different developer previews, the closed source OS for connected devices has finally reached version 1.0. Google's version of Android for IoT devices aims to solve a problem that affects most of the current IoT devices on the market, developers routinely fail to update their devices. With Android Things, each connected device that uses the platform will receive three years of OS updates directly from Google and all of these updates will be free. Automatic updates are enabled by default on the OS and these will be sent to Android Things devices together with monthly security updates and the occasional major OS update. Once the three years of updates has run its course, Google will offer additional options for extended support. To ensure that all Android Things devices can be updated easily, Google will only support certain pieces of hardware. System-on-Modules (SoMs) based on the NXP I.MX8M, Qualcomm SDA212, Qualcomm SDA624 and MediaTek MT8516 will all be supported by the company with the 1.0 launch. Developers will be able to manage their own Android Things devices using a cloud-based Android Things Console which will allow them to manage OS and app updates, view analytics and issue test builds of their software. While the Internet of Things may have gained a great deal of popularity recently, users were still concerned regarding the security of these devices. 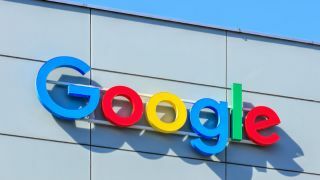 By taking on the task of updating IoT devices on its platform, Google is helping to eliminate these concerns and to ensure that this new breed of connected devices survives.